The predominant response of people who have seen this picture of Jasper wearing a bullfighter outfit has been, “Why, why why? ?” In response, Jasper keeps on saying that that picture was from his high school days in Taiwan… as if that answers the question. "What, you went to high school in Taiwan? That makes perfect sense!" What I really want to see is Jasper with his red hair. Or was it blue hair? Let me just say, I was looking through a folder called "Taiwan Missions" or something close to that for a slideshow when I stumbled across this picture. My response was exactly "why is this picture in this folder?!?!" Wow, what part of Taiwan did you come from?! Did they use the blue background so they could layover the bullfighting scene? Does Jasper look like he's ready to fight a bull or sing in a mariachi band? Maybe Jasper came from the little-known province of Madrid, Taiwan. Sometimes, there are no answers. 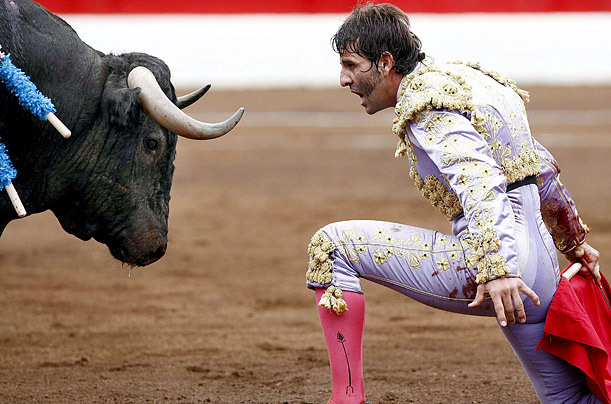 It reminds me of the time I watched real bull fighters in Mexico! Wow! 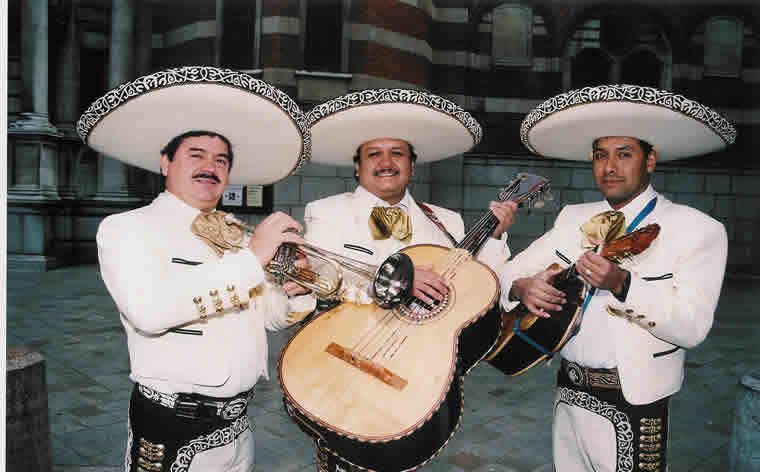 But I think he looks for more to sing in a mariachi band! Thank you Jasper! So glad to know that I'm not the only one who has worn an outfit like that. Oh, wait. I never did, I just really really wanted to.